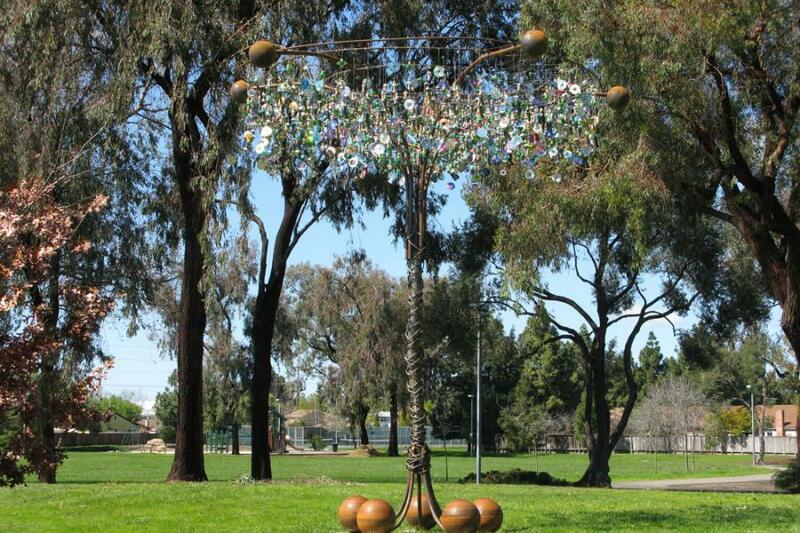 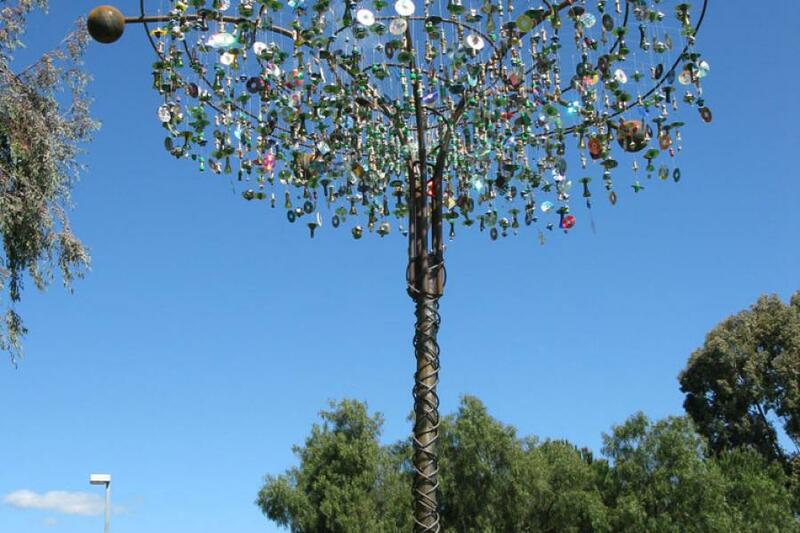 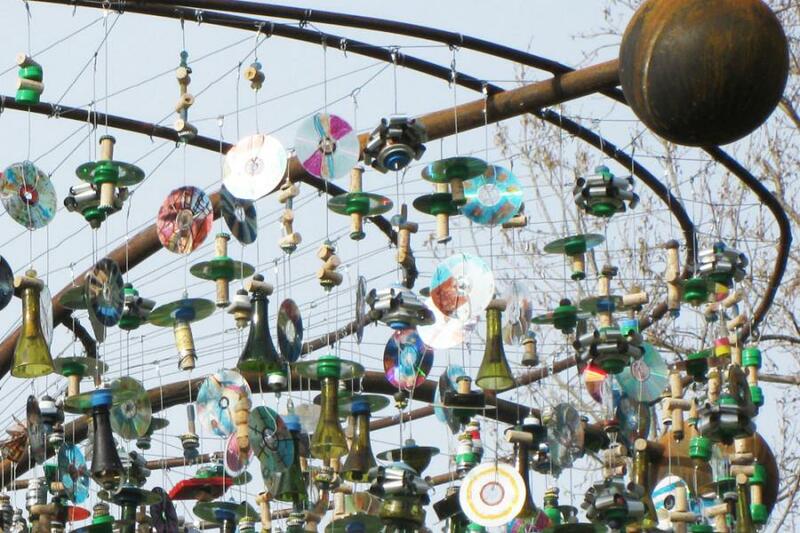 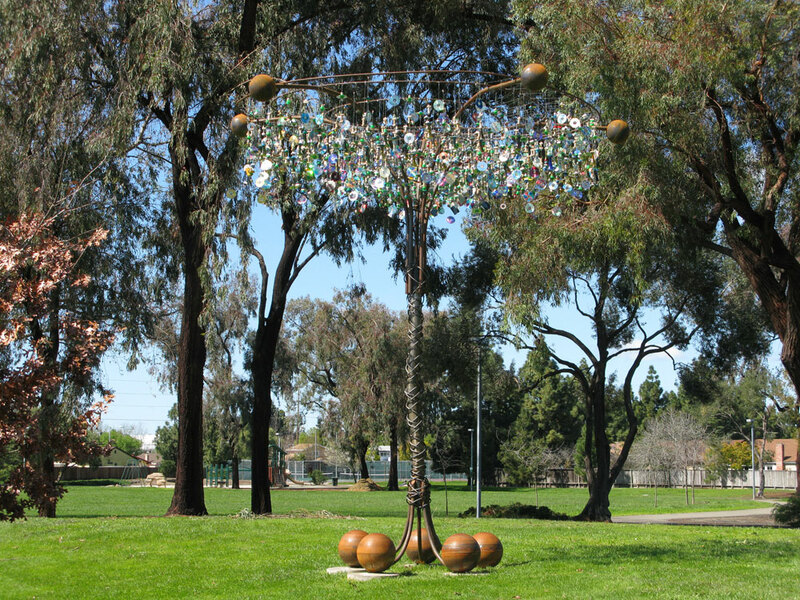 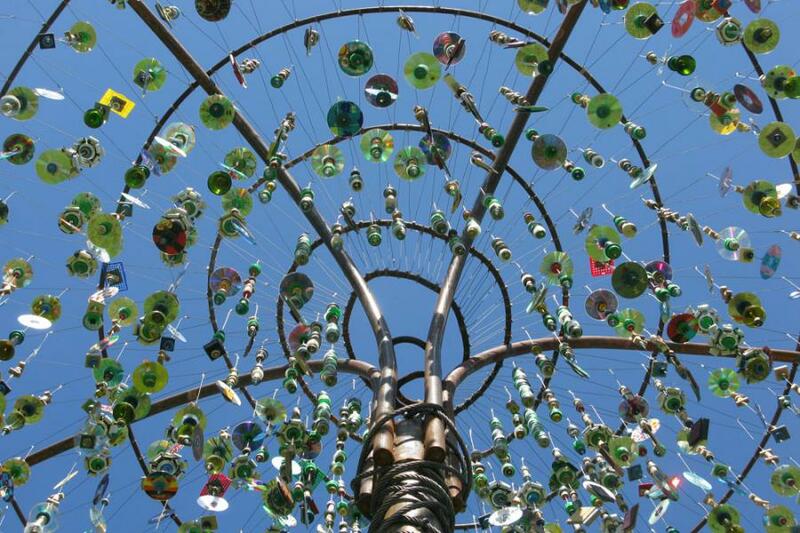 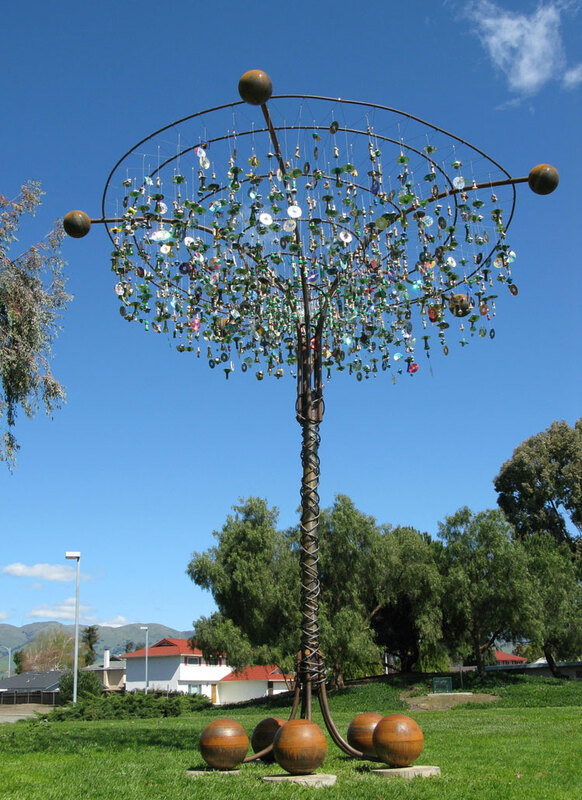 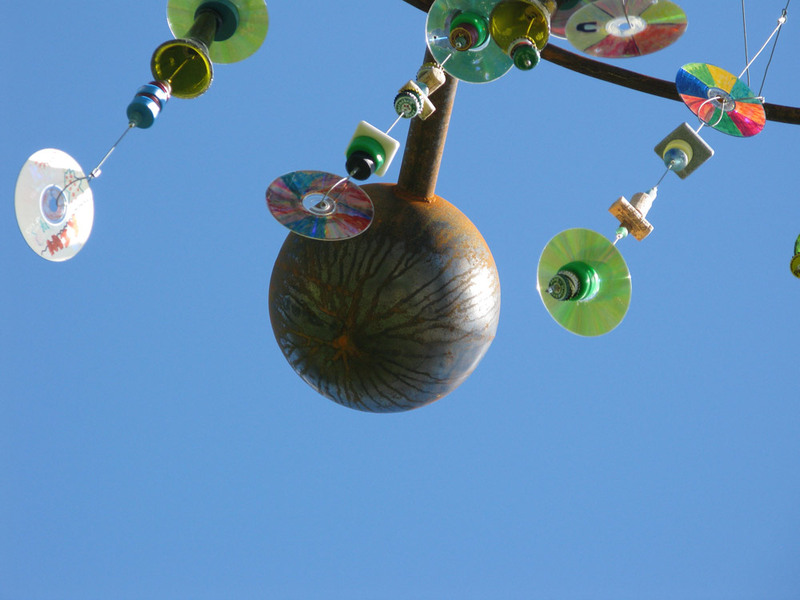 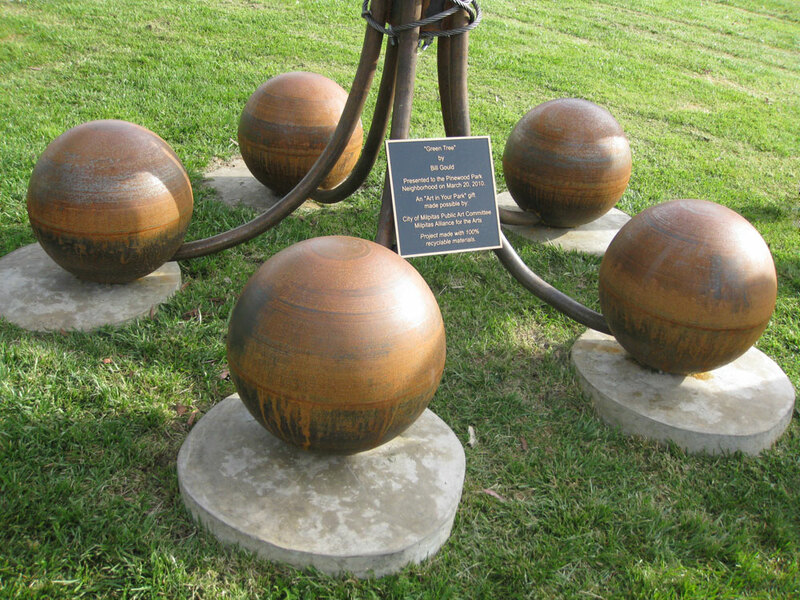 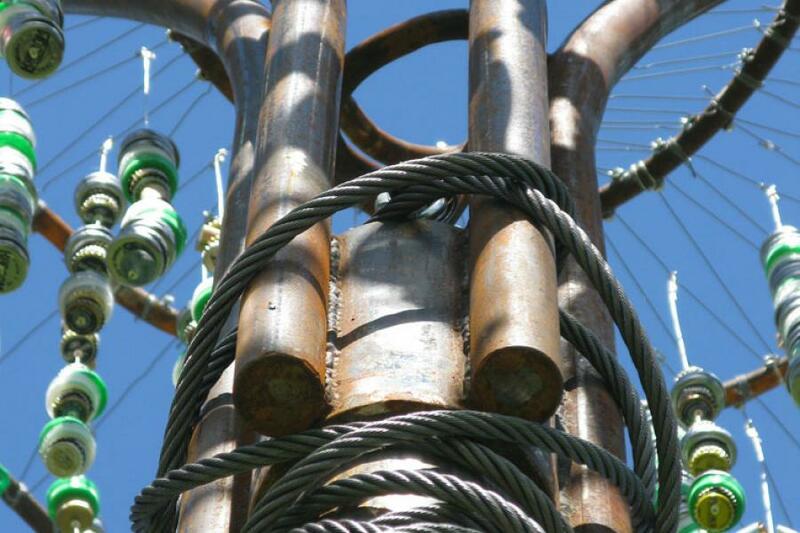 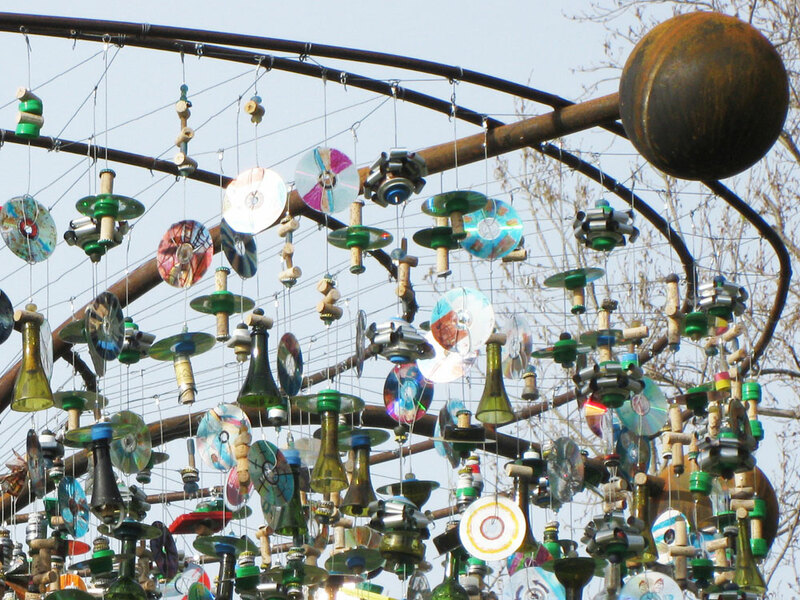 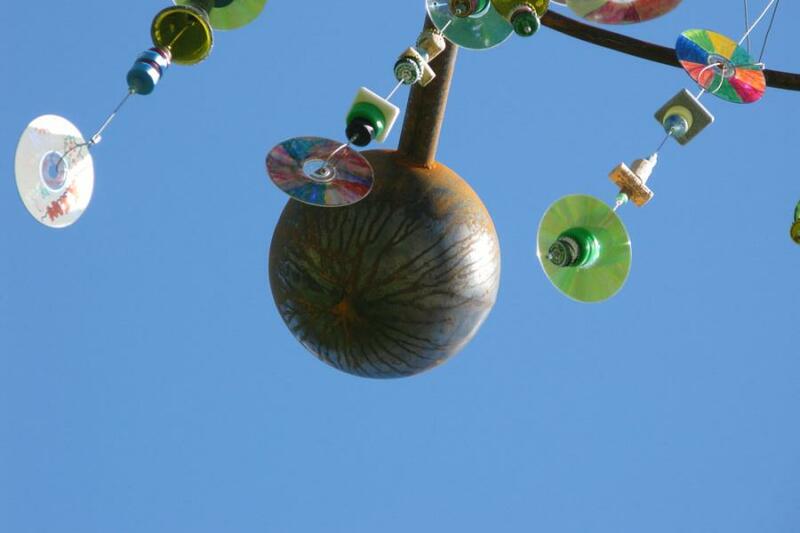 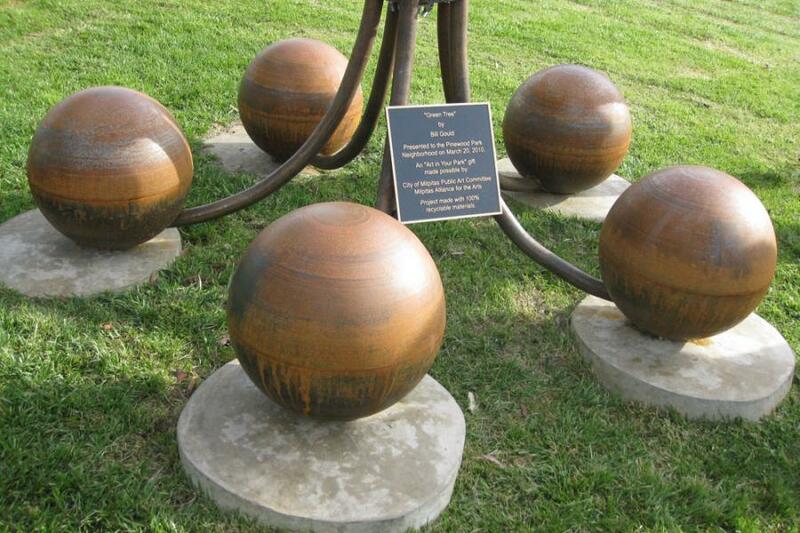 Located in Pinewood Park in Milpitas, Green Tree is a steel sculpture nestled among the park's trees. 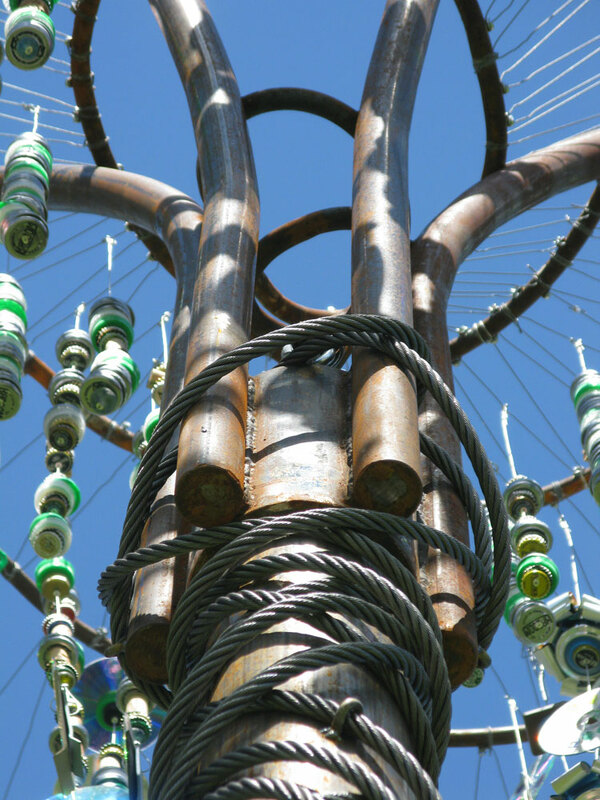 Willow branches made of the communities recyclable materials hang from the sculpture emphasizing the importance of recycling. 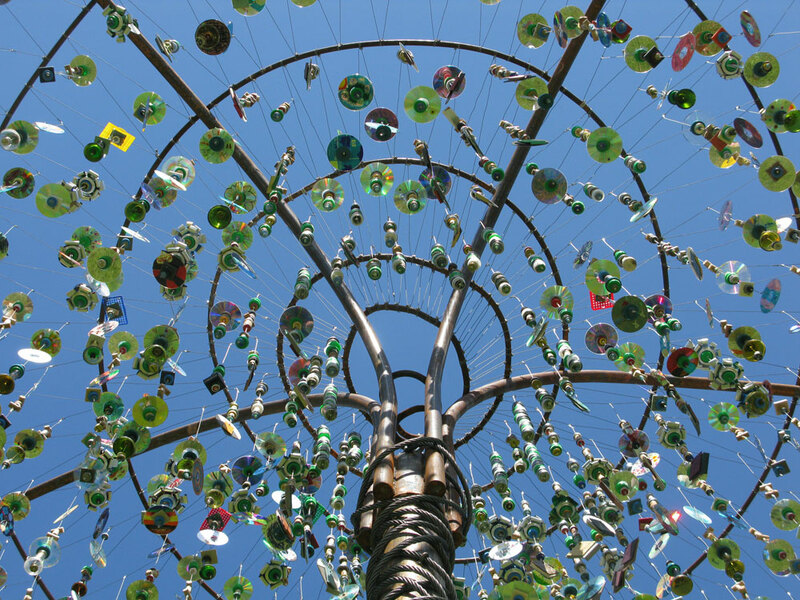 Since its completion, it has become a neighborhood landmark and provides shade, sound and whimsy to the surrounding environment.